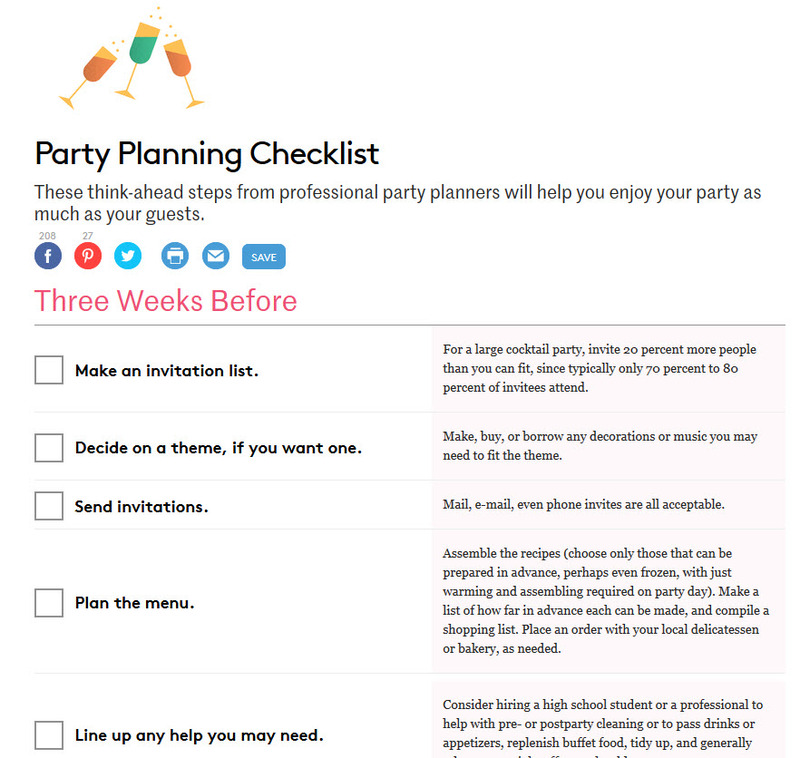 "Party Planning Checklist is an online checklist that helps when preparing for a party. It has been a help in helping me to get organized as I don't throw parties that often. It's taken away some of the stress of planning any kind of party including themed ones. " "This is a wonderful resource for people like me. I wanted to step up my party game and now I'm throwing the sweetest shindigs in town. RSVP please if you want to boogie down." "This is a very detailed checklist. It will prove useful, I am sure, for people who would require such a service. I can't see myself using it, though." "A nice checklist to reference for those not used to hosting large parties. If someone was to follow this, they would find the set up process surprisingly easy. Only flaw ot me though is that my circle of friends is spur of the moment in planning and i cant think f the last time something was planned three weeks ahead."